Thessy Modekwe, left, and her son Ernest (Kosi) Modekwe are seen in this undated handout photo. Friends and family of two men gunned down in Toronto’s Entertainment District over the weekend said the two emerging artists in the city’s rap scene will be remembered for their hard work and ambition. Jahvante Smart, 21, known as Smoke Dawg and Ernest (Kosi) Modekwe, 28, known as Koba Prime, were fatally shot Saturday evening. Police said a woman was also shot, but she is expected to recover. Canadian record producer Shane Lindstrom, also known as Murda Beatz, said in an interview Monday that he was close with both Smart and Modekwe. Modekwe was the brand manager for a hip-hop collective called Prime, said family and friends. In April, billboards of the group towered over Toronto’s Yonge-Dundas Square when they released their song “Sopranos.” The group also launched a clothing line last year with, which Modekwe modelled for. Lindstrom said when he found out about the shooting, he kept trying to reach Smart and Modekwe. “When I heard what was going on, I knew (Kosi) was with Smoke, so I texted Kosi saying, ‘I love you bro. When you get this call me, please, please, please,“’ he said. The two men were rushed to hospital following the shooting, but both succumbed to their injuries, police said. Smart’s family released a statement Sunday saying that he leaves behind a one-year-old daughter and 13 siblings. Lindstrom said he met both Smart and Modekwe in Toronto about four years ago and they instantly became friends. He said they would get together when Lindstrom would visit Toronto about once a month. Modekwe grew up in Toronto’s west end with his single mother and two younger siblings. 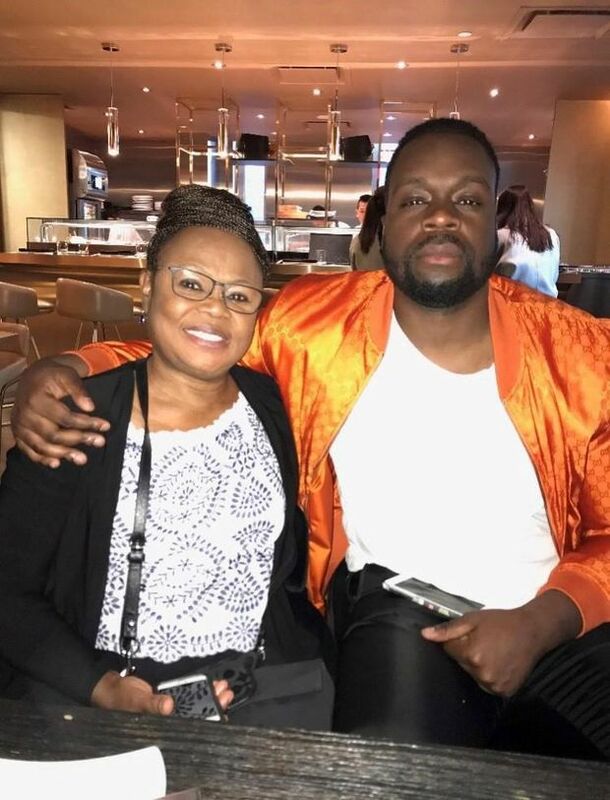 “He was the oldest so he was always trying to take care of me, my brother and my mom,” said his sister Chinasa Modekwe in an interview. She said Modekwe worked multiple part-time jobs to help pay the bills and later bought the family laptops and took their mother on her first vacation. A basketball star growing up, Modekwe played his the high school team and then for fun while he studied criminology at the University of Toronto. He wanted to be a lawyer, Chinasa said, but her brother’s real passion was music as he was inspired by Kanye West, The Notorious B.I.G. and Drake. One of the Prime members posted on Instagram on Sunday that he and Modekwe met in 2004 and were best friends for 14 years. “His energy was like no other, he made everyone smile, made people feel happy, he would light any room, no matter how dark it was. It was very easy to be Kosi’s friend, he was a definition of friend,” Jermane Prime said in the post. There has been a string of shootings in Toronto in the past few weeks. On Sunday night, four people were injured after shots were fired downtown, and last month two young sisters were wounded during a shooting at a community playground. Police statistics for 2018 indicate there were 199 shootings in the city as of June 25, and 22 people killed by gun violence. This time last year, there were 170 shootings and 16 killed by gun violence. Ontario Premier Doug Ford released a statement on Monday expressing his condolences to the victims. “This has been a very difficult summer in our city, and thoughts and prayers just aren’t going to cut it any more. We need action,” he said. Meanwhile, a vigil for Smart was held Monday night in front of a church in the Toronto’s east end. People brought flowers, candles and photographs of the rapper. A vigil for Modekwe took place Sunday night.